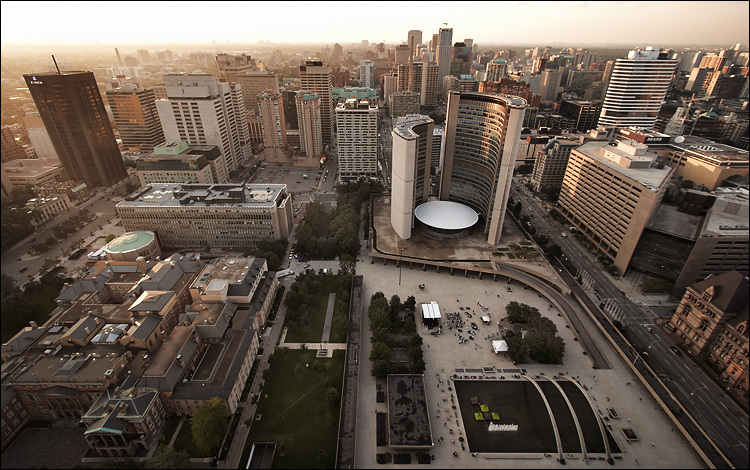 toronto's city hall shot from the rooftop of the sheraton hotel. it was quite scary and exciting, about 50 floors above ground with no guardrails on a windy day! this is another photo from the session for the new issue of spacing magazine. the cover is from the same series. spacing issue 7 launch party is this thursday.